In a world where much of rock has lost its passion in a soulless sterility of studio smoke and mirrors comes bree - a 23-year-old religious cult castaway who discovered the truth the first time she plugged into a Gibson Flying V and cranked up a vintage Marshall amp.bree's influences ranging from Buddy Holly, Eddie Cochran and Patsy Cline to The Beatles, The Who, The Clash and The Ramones. In short, bree has carved out her own slice of the rock n roll pie. "In the studio and live it's just the three of us," says bree. "Keeps it honest. Keeps it real. "All American Girl is an energetic rock record, with some catchy hooks and classic riffs to accompany the talented vocals. The lyrics are simple and keep the album casual and easy, even if not entirely memorable. Her first record is still young and fresh, but with a little maturation, experience, and fine-tuning, Bree’s powerful voice and unquestionable attitude give her the potential to go far in her genre. Though her self-titled debut is just that – a debut – Bree will still be one to keep an eye on in the future. East Nashville based band BREE are far from the country sounds we associate with the place. Their debut UK album "New Skin" is a rocking, guitar-driven 10-track album.Fronted lead singer & band namesake Bree (who looks smoking hot btw) the group just finished a successful British tour with plans to be extended to all over Europe soon.Kicked out of her father’s religious cult at 17, Bree endured several years of nomadic hard knocks, drug episodes and dodgy relationships before landing in Nashville’s vibrant scene, where she met her drummer and bassist.This relatively new band has already achieved an impressive number of accolades. 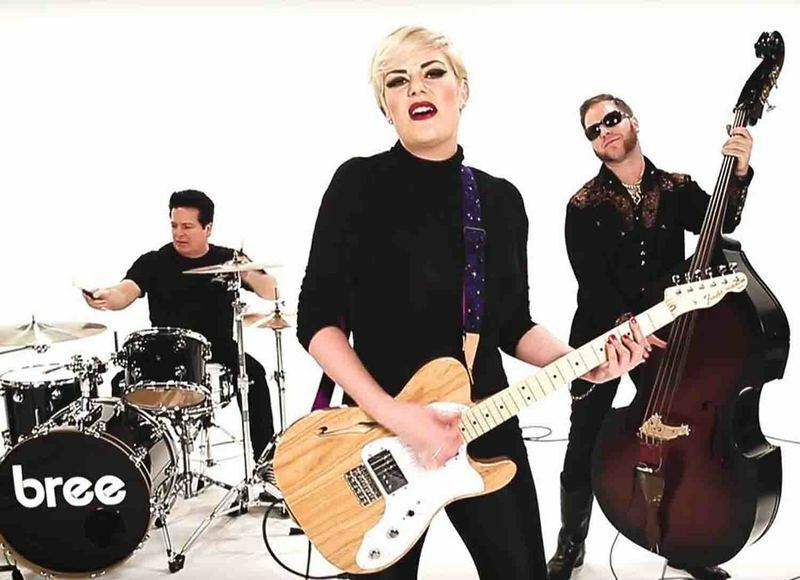 In 2012, Bree was voted RAW Nashville Musician Of The Year. 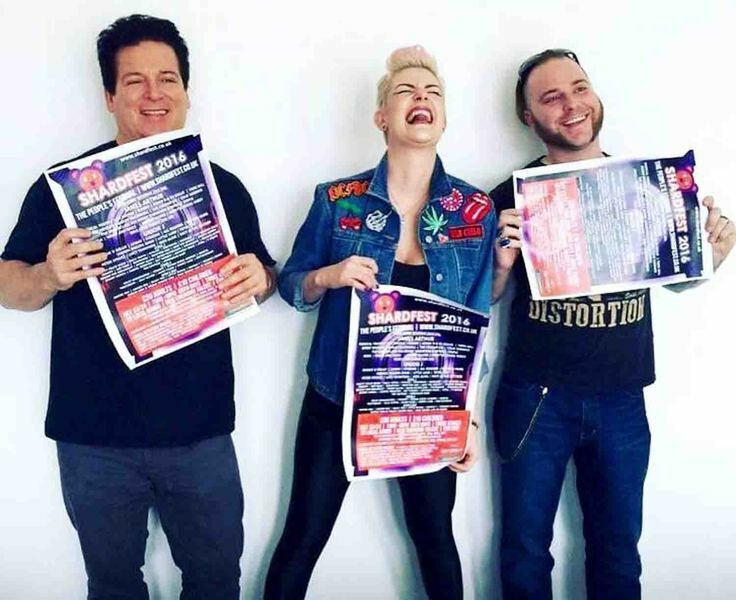 Bree embarked on a 25 city eastern US tour in 2014 that included an encored appearance at the 33rd Annual Tropical Heatwave Festival in Tampa, Florida.Bree had already caught the attention of producer Bob Ezrin (Alice Cooper, KISS, Pink Floyd) and his exclusive engineer, Justin Cortelyou, who was subsequently commandeered to produce & mix "New Skin".On 'Damn, I’m Being Me Again', the first single to be taken from the album, is a chugging track that uses the strong vocals and witty vocals and plays them against each other to the songs benefit. The guitar is smooth and keeps the track moving while the rhythm section anchors the track from first note to last. Bree sings (in sardonic splendor) “Could someone please cure me/of this disease I call being me” and you immediately get to wonder if you’ve finally stumbled across a reincarnated Debbie Harry.In fact, Bree (the band) sounds a lot like Debbie Harry / Blondie but more raw, with attitude. 'Broken' slows the tempo to a moodier, more ethereal track. The guitars are solid, the vocals soaring, and the bottom end tight. The song may slow a bit compared to others, but fits in next to any of the songs here. 'Happier Place' is a cool number that takes on a different groove and texture, but it gives us a different reason to dig Bree and what she does. 'Perfect' opens with a tribal groove and sound, but soon shifts thanks to the guitar work featuring a poppy vocal and catchy chorus.The cadence of 'I Wonder' gets the foot tapping, then '18' jumps out and rocks from the first syllable and note. 'Free' is a lighter track based on a strong rhythm and some of the crispest vocals. The emotion behind Bree’s vocal delivery is present and gives the song an added punch in the mix. 'You’ll Be The Death Of Me' brings a bit of swagger to the mix that adds depth and another dimension to the disc. The bass lines are strong and drum fills perfect for the track allowing Bree to toss in a different vocal style.Album closer and title track 'New Skin' opens with a retro sound from the drums, but is offset by Bree’s fuzzy guitar and range stretching vocals. 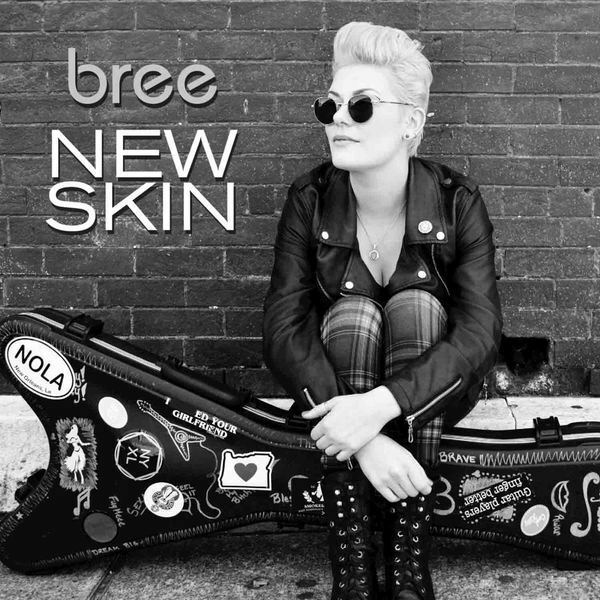 It's a catchy song and as many on the disc grabs your attention with its contagious rhythm.Bree's "New Skin" is set to ruffle a few feathers both in America and across the pond. 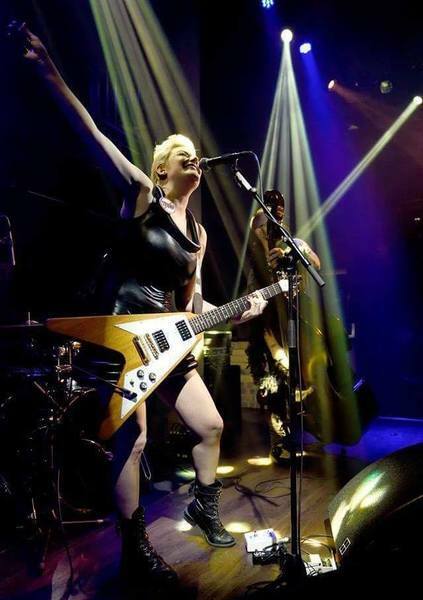 The band already conquered Great Britain and are ready to extend this to all Europe.Music is the means by which Bree tells her story, a somewhat sad one with many ups and downs, but the music makes you feel good despite the darker lyrical content. It is obvious that her music is what lifts her out of any downer and that is what it does for her listeners too. It is easy to identify with her angst but after listening through the album you feel uplifted.This is catchy guitar-driven poppy rock with tons of attitude and a female singer bringing to mind the '80s mistress in this game.